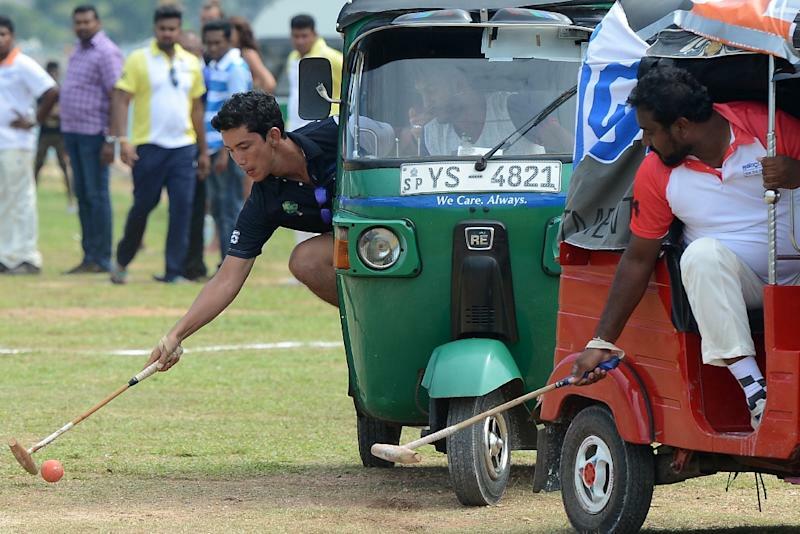 Galle (Sri Lanka) (AFP) - A elephant polo tournament in Sri Lanka which was scrapped after one of the beasts went rogue has been revived with tuk-tuk taxis taking their place, to the relief of animal lovers. 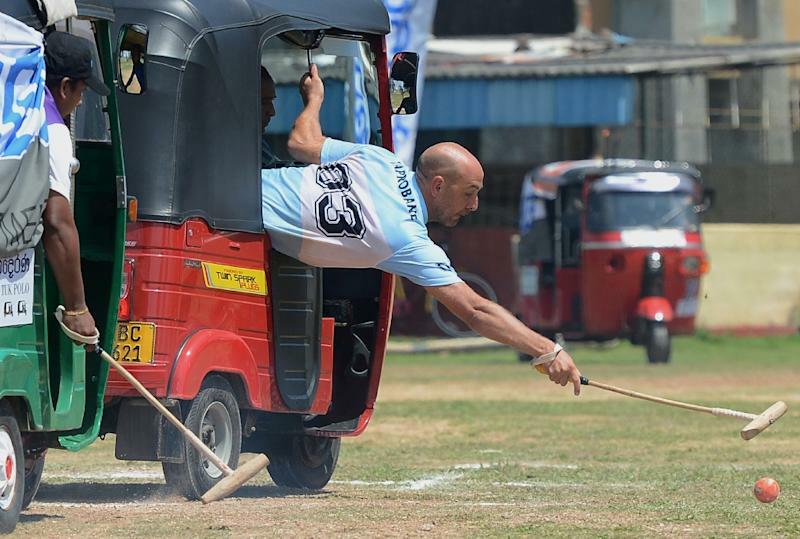 Six teams of three vehicles each and their drivers and passengers competed in the 2016 tuk-tuk polo championships held over the weekend in the southern port city of Galle. "We had a tuk-tuk polo event last year. It was more of a friendly game, but this year it was a proper tournament," said Rachel Dobbs, niece of Australian luxury hotelier Geoffrey Dobbs who organised the event. 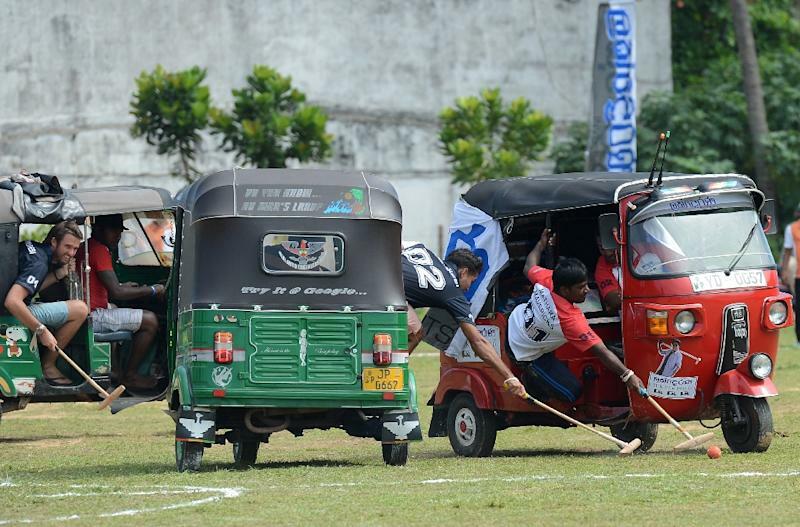 Elephants were ridden at six previous tournaments in Galle, but organisers decided to stop using the animals after the 2007 event when one went rogue and smashed into several spectators' cars. The event lapsed for several years until it was revived as a friendly last year. "We are glad that tuk-tuks have replaced elephants in this game," said animal rights activist Sagarika Rajakarunanayake. "Elephants are subjected to cruel treatment at these events." Tuk-tuks -- three-wheeler motorbike taxis -- are more commonly sighted zipping through traffic in Sri Lanka, Thailand and elsewhere. They moved much more slowly around the makeshift polo field at the weekend, with plenty of stop-starts, but organisers said there were remarkably few scrapes or dinged fenders. Winners of this year's tournament split 200,000 rupees ($1,430) in prize money.